Revolver VS Semi-Auto Pistol - Which is right for you? The question, "Which should I buy, revolver or pistol?" is a universal one. Almost every new gun owner considers this before buying their first handgun. The answer for most people is generally more simple than the multitude of web pages and articles written on the subject would indicate. The issue is generally one of preference, not a matter of which one will work best. The only factor that could make one a necessity over the other would be if the buyer has a limiting physical condition. That will sometimes be the sole factor in whether a revolver or pistol is clearly the best choice. But since it's generally down to a preference of one over the other, here are some things to consider. Guns are fun to shoot. Both revolvers and pistols have their charms and shooting both is a joy for people who enjoy shooting in general. Keep in mind the assessment below takes into account all aspects of handgun ownership, not just self defense or concealed carry. A revolver is simple, dependable, and available in everything from .22 caliber up to the massive Smith and Wesson 500 magnum. The multitude of quality pistols has somewhat overshadowed the revolver over the last couple of decades. But there will always be a place for the wheel gun in recreation, sport and self defense. Revolvers take a minimum of training to learn to use. They are inherently safe in that they are either single or single/double action. This means they can be manually cocked (single action). Alternately (and preferably for self defense) they may be shot double action (with a long, relatively heavy trigger pull). Whether you carry a wheel gun or semi automatic, protect yourself with the best legal system for firearms self defense. With the hammer down on a modern wheel gun, it is unlikely that they will be negligently discharged. This is due to modern firing pin blocks that keeps the gun from going off if dropped. CAUTION: Older revolvers will go off if dropped with the hammer down on a live round. 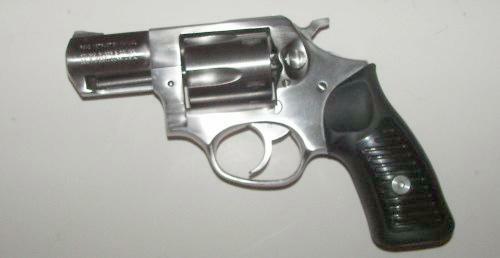 My Ruger SP101 is small, powerful, fun to shoot, trouble free and durable. Hard to beat. Here's an interesting and knowledgeable debate about Revolvers vs Semi Autos with the guys from Texas Guns And Rifles,. Semi-auto pistols, on the other hand are more complicated and come in a mind boggling array of choices in both style and caliber. However, the more confusing array of choices allows more options for all types of shooting. This, as well as many more choices are available for defensive concealed carry. 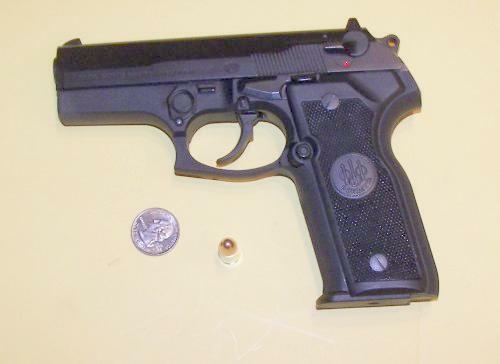 Semi auto pistols come in two basic styles: Hammer fired (Beretta 92; Cougar 8000; 1911 style pistols, etc.) and striker fired (GLOCK, Taurus 24/7; Springfield XD, etc.) Both have advantages and reasons to use and carry in specific situations. Then there is just plain preference. You can spend a long time trying to figure out which first semi auto to purchase. However, most quality pistols, if purchased with the actual "need" in mind will work great. Just keep in mind that's with sufficient use and practice in both firing and carry. Finally, semi autos offer large capacity magazines for up to 20 rounds in some pistols. They have crisp, light trigger pulls that enhance accuracy. With practice speed and precision are very possible in your defensive handgun. So, none of the above answers the question: revolver or pistol? And since you are reading this web page, it is generally considered the responsibility of the author to give an answer where information is sought. So all things considered, what would I do? I guess the best way to answer this question is to change the question slightly to: "If I were limited to only one handgun, which would it be?" My answer to this may surprise you if you already read some of my other pages and saw my affinity towards other semi-auto pistols. While some of those make up my stable of "favorite" handguns, if I were limited to only one, it would not be a GLOCK or any other semi auto. It would be a stainless steel revolver with a 4" barrel. -.357 Magnum - a venerable, and dependable self defense load. The 4" barreled magnum can be carried under a jacket or coat. Or it can be carried in a vehicle or used as a home defense gun. -Multiple caliber capability - .357 magnum, 38 special, 38 special +p. -In a pinch it can be a close range hunting firearm. 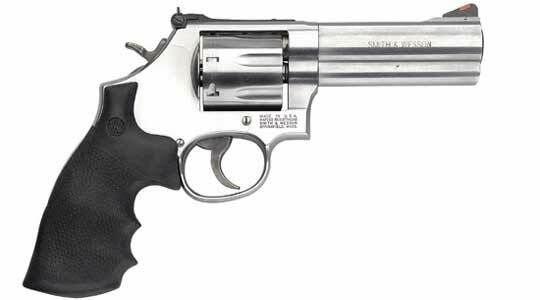 -This type revolver in name brands is generally very reliable, and will take a large number of full magnum loads without damage. -No concerns for jamming or feeding. So, if you're looking at buying your first revolver or semi-auto pistol, and it's not likely you're going to be able to buy more than one to start, a .357 magnum with 4" barrel will make a fine gun to build your collection around. And no matter how many you get in the future, your revolver will always be ready to perform in multiple situations. In spite of the overall choice of one gun only for all purposes, that is not normally my recommendation for concealed carry. In my concealed carry evaluations for most people, a semi-automatic pistol is recommended for their primary handgun.